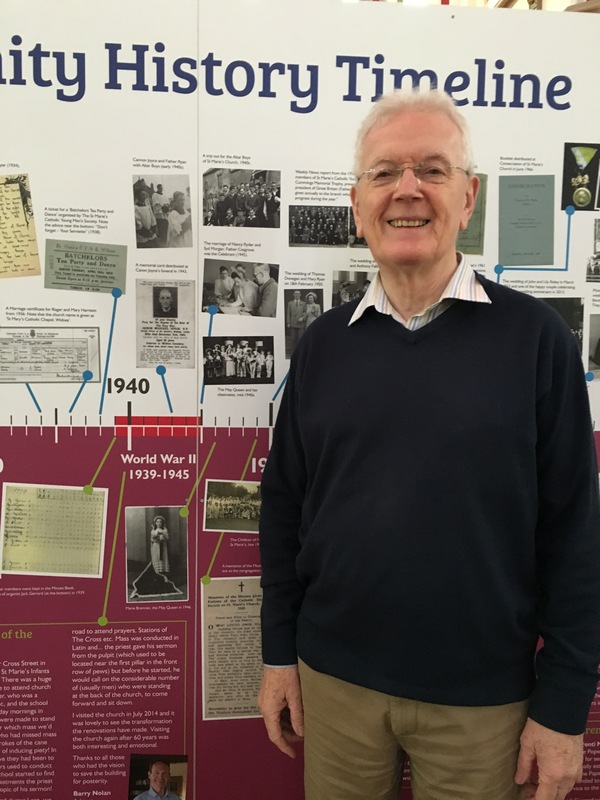 The St Marie’s Heritage Group were delighted to welcome 36 visitors on Saturday afternoon (14.11.15) to hear an entertaining and enlightening talk from Arthur Whimperley on The Childe of Hale, John Middleton. We were very worried that the rain would put people off from making the journey, but thankfully, nearly everyone who had booked places still came along. Personally, I really enjoyed the talk. Especially Arthur’s explanation of the context we need to view his nickname “The Childe” through. Arthur was engaging & humourous and I was delighted to see that he sold so many copies of his new book afterwards! A big thank you to Jane, Christine, Tony, Maeve and Peter for helping out on the day. You’ll notice in the feedback below that Jane & Christine’s sterling work behind the bar has not gone unnoticed. Arthur delivers his talk on The Childe of Hale. – Very warm welcome and really enjoyed it. Thank you. – I was very pleasantly surprised by the beauty of its church. The restoration is amazing. So wonderful it has been preserved. – Very interesting talk. Well presented. – Interesting topic in an interesting building. – Very enjoyable. Thank you. – I’ve really enjoyed the talk. I was unaware that there have been others. I would love to hear from anyone of future Heritage Talks or future events. Thank you. – I particularly enjoyed re-visiting St Marie’s as I used to attend the school. And I was very impressed by the up-keep of the building which is very impressive & breath taking. Thank you for a very warm welcome and a very interesting talk. – Very enjoyable lecture. Will come again. – Timing was about right. Very relaxed and informative delivery. Enjoyed it very much. – I was hoping to learn more facts about John Middleton. – Social History of Chemical Workers in Widnes. 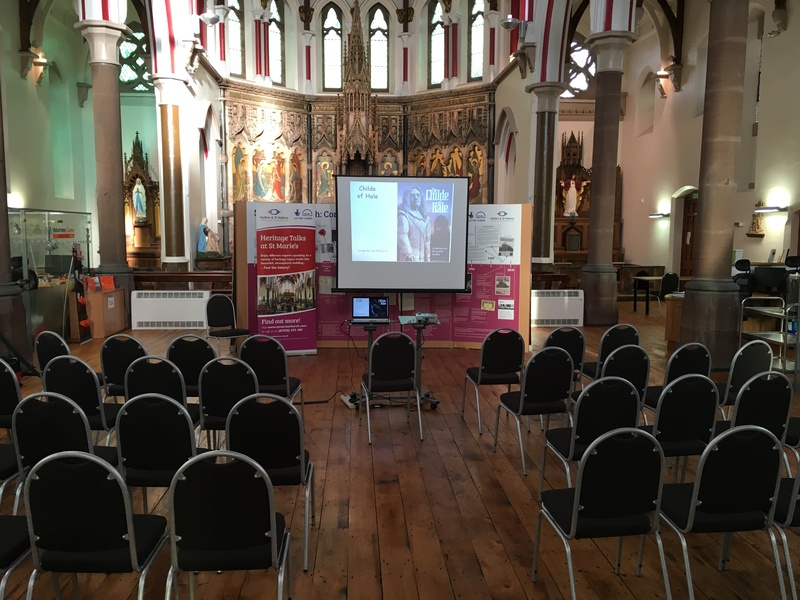 Heritage Talks at St Marie’s – The Room is Ready! Thanks to everyone who’s signed up for tomorrow’s Heritage Talk at St Marie’s. 2pm prompt start. The doors will be open at 13.30 so there’ll be plenty of time to grab a drink and seat before Arthur’s talk begins. We were delighted to welcome former parishioners, Terry and Marie Grace into St Marie’s this morning. Rather wonderfully, Terry found a photo of himself as a young boy (dressed as a Herald) from one of the May Parade’s in the 1940’s. Terry also found pictures of his school friends from his time at St Marie’s Primary School. If you would like to visit St Marie’s, you’d be very welcome to pop in (Monday to Friday, 9am till 4pm) and have a look around. Places are still available for Saturday’s Childe of Hale talk with Arthur Whimperley. Please e-mail mroberts@haltonsthelensvca.org.uk to reserve your place. 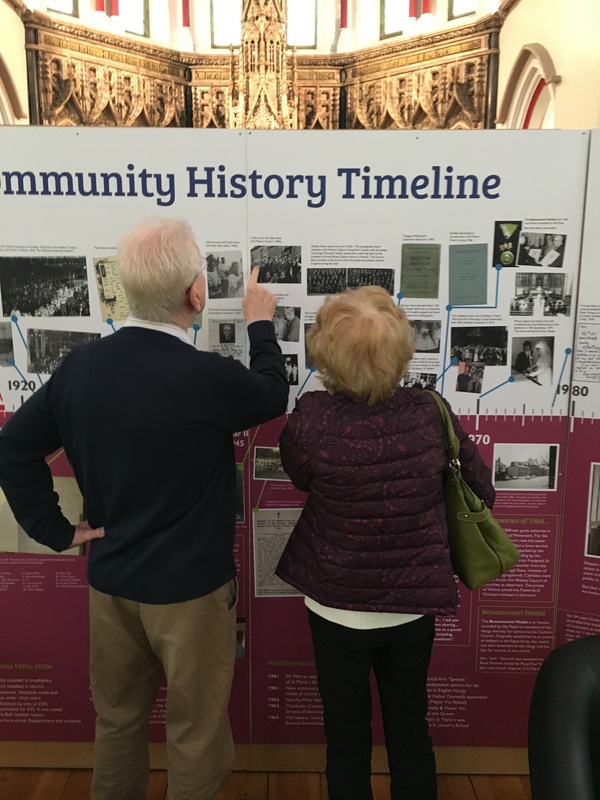 Terry & Marie Grace look for old school friends on the St Marie’s Community History Timeline. 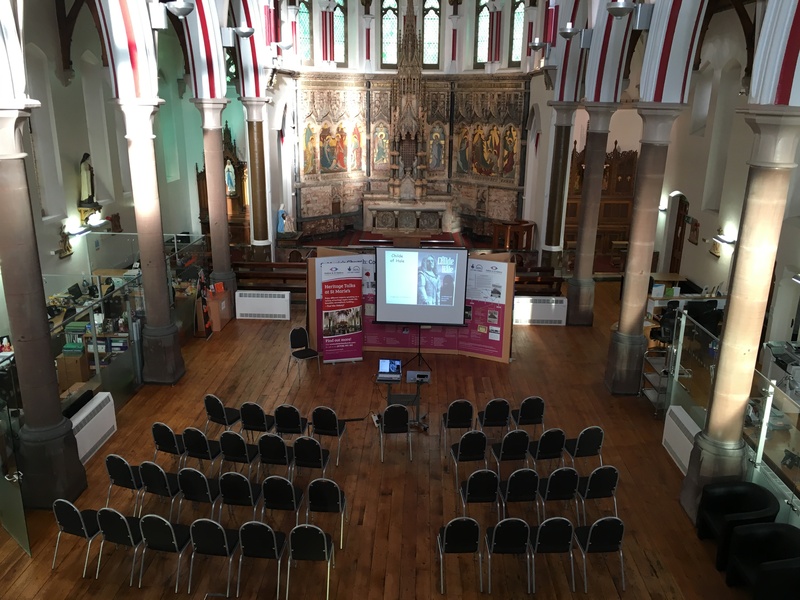 Just a quick message to say that we still have 20 or so place left for the free Heritage Talk (at St Marie’s) on Saturday 14th November. Please see the article below for full details of the event. To book your free place, please contact me via mroberts@haltonsthelensvca.org.uk or (01928) 592 405.